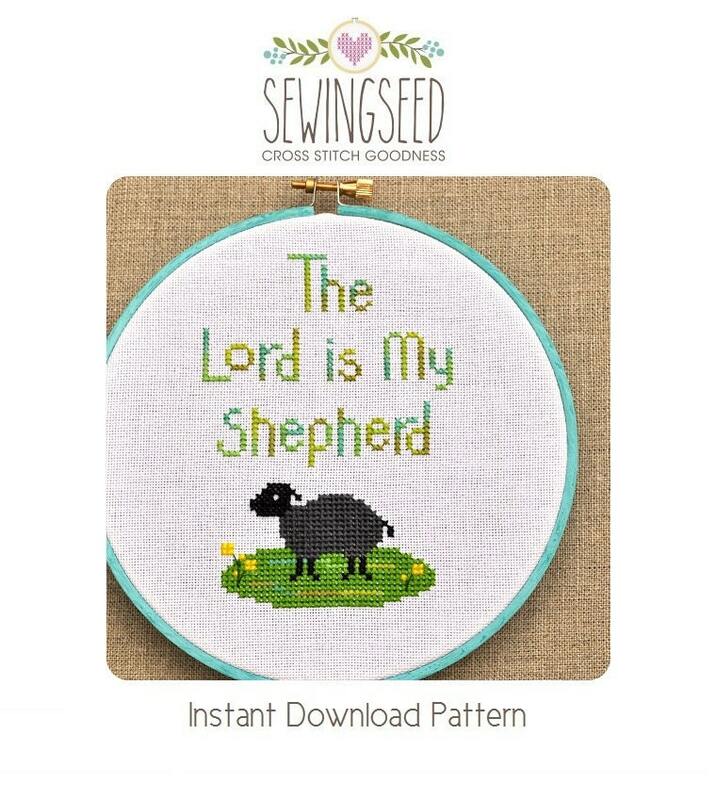 The Lord is My Shepherd cross stitch pattern featuring a little black sheep in the pasture is available for instant download via Etsy. ♥ You will need 6 DMC floss colors. There is variegated floss used in this pattern, but you can substitute a solid color floss if you prefer.